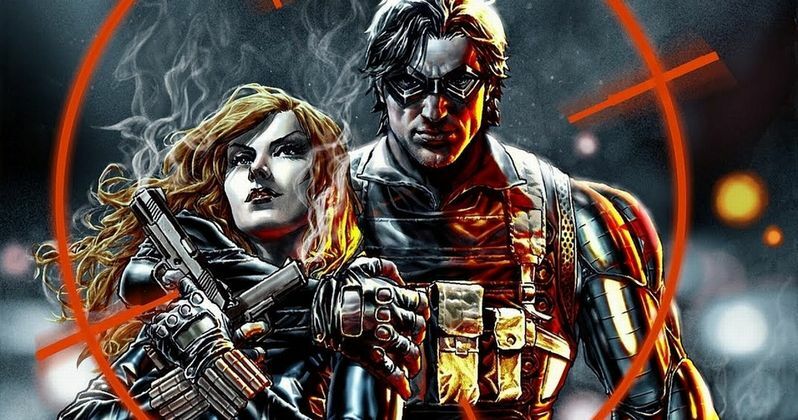 Black Widow Movie Will Be a Prequel Featuring Winter Soldier? It looks like we may have some of the first potential details for the upcoming Black Widow solo movie. It's best to take anything we're hearing right now about this movie with a grain or two of salt, as Marvel Studios hasn't even officially announced that it's happening. But at this point, it's a pretty poorly kept secret that looks to be a sure thing. Now, we're getting word that the long-awaited Black Widow solo movie will be a prequel, taking place prior to the events of the character's introduction in Iron Man 2. This, though merely a rumor for right now since it hasn't been publicly confirmed by anyone related to the project, would make a great deal of sense. There is no telling what the future holds for the Marvel Cinematic Universe following both Avengers: Infinity war and Avengers 4. What we know for sure is that the MCU as we know it will no longer be a thing and that Phase 4 will look radically different. Doing the Black Widow movie as a prequel would allow for them to explore a lot without getting in the way of what happens in these next few movies. Another tidbit that came out in this new report is that early discussions for the movie have included Sebastian Stan as The Winter Soldier. This would also seem to make sense, as Natasha Romanoff revealed in Captain America: The Winter Soldier that she had a near-deadly encounter with him some years prior. Also, Stan recently indicated in an interview that he would be very interested in reprising the role for the Black Widow movie. So that would fall right into place as well. Marvel Studios has only announced that the Spider-Man: Homecoming sequel and Guardians of the Galaxy Vol. 3 are going to happen in Phase 4. However, it's been reported that screenwriter Jac Schaeffer has been hired to pen the script for Black Widow, with Scarlett Johansson already signed on and working closely with the writer on the project. Johansson will also be producing the movie and, for her services, will reportedly be receiving a massive payday. By the time this movie comes around, the actress will have starred in six MCU movies without a solo movie to her name. Safe to say, she's earned that payday. While not confirmed, it's rumored that the movie will be part of Marvel's 2020 slate. Brad Winderbaum (Thor: Ragnarok) is mentioned in this new report as an executive producer on the Black Widow movie as well. It also hasn't been taken off the table, but it sounds like this potential storyline may not have room to see what Hawkeye and Natasha were up to in Budapest, as teased in The Avengers. For now, even though Marvel Studios is being quiet, it looks like this movie is coming together behind closed doors. Since Marvel is skipping Hall H at San Diego Comic-Con this year, it may be awhile before we hear official word on the project. This news comes to us courtesy of That Hashtag Show.